Cllones is a concept that revolutionizes the way to make dental restorations, achieving excellence in function, physiology and esthetics. It proposes to mimic the morphology of natural teeth, and can be used in several indications of oral rehabilitations. The use of digital mechanisms makes possible the micrometric milling, superior to what could be achieved by the human abilities, which allows the precise fit of the ceramic pieces, resulting in a perfect cementation. It results in a personalized esthetic, according to the patient’s choices. Making full use of modern technology, Dr Kano will demonstrate on stage his Motivational Mockup Chairside Direct Placement technique on anterior esthetic rehabilitation, including step by step workflow using digital technology in producing a smile design and placement of the mockup derived from digital scanning and 3D printing. It is every practitioner's dream to be able to predictably produce the most esthetically pleasing, functional yet durable smiles for our patients. However, in reality, challenges are abound. In a complex esthetic restorative case, color matching and tooth size discrepancy are some of these challenges. The practitioner often find restoring an inter-arch restorations with conservative preparation and dissimilar restoration types difficult in getting a good color match, especially dealing with a mixture of non-discolored and discolored stumps. Individual tooth variations in terms of size discrepancies and esthetics present a different aspect of difficulty. 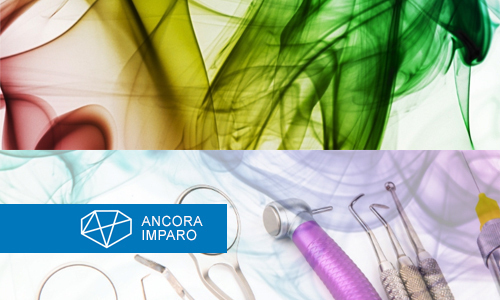 In this whole day lecture, a workable color matching strategy and understanding of diagnosis and treatment of dental discrepancies from the restorative perspective will be presented. While some of the final esthetic results are creating the “wow” effect, some may fail to meet the patient’s expectations due to disharmony between the smile design and the patient’s personality. It has always been a challange to create a smile design that the final result would be precisely predicted from day one. The aim of this lecture is to present a novel concept which involves the creation of a mock up that will be matching with a customized personal image, expressing a person's sense of identity which is based on the “visagism” VIS concept that helps dental clinicians provide restorations that account not only for esthetics, but also for the psychosocial features of the created image, which affect patients’ emotions, sense of identity, behavior, and self-esteem. Even with this very valuable VIS smile design, for some dentists creating direct a mock up may be difficult. Filling an empty space with teeth that will fullfill all the above expectations can be a difficult task. However with the new digital technologies this is no longer a problem. The REBEL is the new 3D SMILE DESIGN program, which can immediately convert the 2D VIS smile design in to 3D. This way the dentist will be able to immediately 3D print this STL file and be able to place the final wax up in the patients mouth. Designing full-mouth rehabilitations with optimum esthetics requires correct treatment planning, evaluation of a suitable ceramic material and skillful application and techniques. Today technology validly supports the clinician in the definition of an ideal treatment plan and in the optimization of time and costs. In particular the dentist can count on a new App guiding him/her in the step-by-step collection of all the necessary data. Thanks to the use of metal-free ceramic materials, it is possible to obtain excellent esthetic results while reducing the need to remove sound tooth structure. Selecting the ceramic material with the dental ceramist is another fundamental step in the management of complex rehabilitation cases. Nowadays an innovative operative protocol allows the dentist to face highly compromised clinical situations with a minimally invasive prosthetic procedure. Thanks to the alteration of the of the vertical dimension of occlusion (VDO) it is possible to take advantage of the newly created space between the two arches with the result of minimizing the invasiveness of the prosthetic treatment when using veneers, full-veneers, buccal-occlusal veneers and table tops, even with very reduced ceramic thickness. This Minimally Invasive Prothetic Procedure (MIPP) permits to re-establish an ideal occlusal relationship and to avoid additional endodontic or surgical steps that were traditionally necessary in order to improve the retention of the restorations. The maintenance of a maximum amount of enamel and the use of the appropriate bonding technique guarantee a remarkable resistance and a long-lasting result of the prosthetic rehabilitation. This course is designed to offer dentists the knowledge and skills required to offer beautiful natural smile to each individual patient. The Anatomy & Color in Aesthetic Z-I will take you into the first step and the foundation of aesthetic. Dentists will understand the natural anatomy of each individual anterior tooth on maxillary jaw while at the same time they will learn the knowledge of tooth colors, chroma, hue and value and the secret of light interplay within enamel. The course will help dentists to adapt Shademan’s method to produce natural forms, surface textures, masculine designs, internal effects and every additional tooth characteristics to make sure they can produce natural looking perfect smiles at ease. Dr. Galip Gurel graduated from the University of Istanbul, Dental School in 1981. He continued his education at the University of Kentucky, Department of Prosthodontics. He then received his MSc degree from Yeditepe University in Istanbul. Dr. Gurel is the founder and the honorary president of EDAD (Turkish Academy of Aesthetic Dentistry). He was the President of the European Academy of Esthetic Dentistry (EAED) for 2011 & 2012. He received “The Smigel” award in October 2014 which is granted biennially by the New York University College of Dentistry to honor the best esthetic dentists in the world for the social contribution they create, their support for the improvement of esthetic dentistry, their vision and determination and their ability to present innovative ideas around dentistry globally and the education they provide to the dental health professionals about advanced esthetics, technology and the new techniques in general dentistry. He is a member of the American Society for Dental Aesthetics (ASDA) and American Academy of Restorative Dentistry (AARD) and the honorary diplomate of the American Board of Aesthetic Dentistry (ABAD). He is the editor-in-chief of the Quintessence Magazine in Turkey and on the editorial board of the AACD journal, PPAD (Practical Procedure & Aesthetic Dentistry), EJED (European Journal of Esthetic Dentistry). Dr. Gurel has been lecturing on dental aesthetics all over the world and giving post graduate lectures on aesthetics dentistry. He is a visiting professor at the New York University (USA) , Marseille Dental University (France) and Istanbul Yeditepe University (Turkey). He is also the author of “The Science and Art of Porcelain Laminate Veneers” published by Quintessence publications in 2003 translated into 12 different languages. 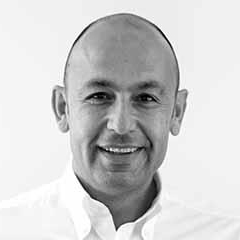 He has been practicing in his own clinic in Istanbul, specializing in Aesthetic Dentistry, since 1984. A renown sportsman, Dr. Gurel has been the Captain of the Turkish National Team of Water Polo for 110 times, a World Champion of the Camel Trophy and a participant of the Paris-Dakar Rally. Dr. Fradeani graduated in medicine and surgery from the University of Ancona in 1979, where he then completed a specialization in Dentistry in 1983. 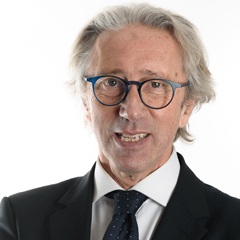 He was president of the European Academy of Esthetic Dentistry (2003/2004), president of Accademia Italiana di Odontoiatria Protesica (1999/2000), and visiting associate professor in Prosthetics at Louisiana State University, New Orleans from 1999 until 2008. He is an active member of The American Academy of Esthetic Dentistry and maintains membership in The American Academy of Fixed Prosthodontics. He is Founder and Director of ACE Institute, Advanced Continuing Education centre in Pesaro, Italy. He is Founder and Director of Fradeani Education, an educational project developed together with a group of expert speakers with the goal to promote worldwide an Italian model of excellence in dentistry. He is a member of the editorial boards of Practical Periodontics & Aesthetic Dentistry and of The Journal of Esthetic and Restorative Dentistry. Dr. Mauro Fradeani is the author of the book Esthethic Rehabilitation in Fixed Prosthodontics, vol. 1 – Esthetic Analysis (translated into 12 languages), and vol. 2 Prosthetic treatment: a systematic approach to esthetic, biologic and functional integration edited by Quintessence International. 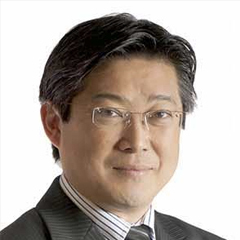 Stephen J. Chu is an Adjunct Clinical Professor at New York University College of Dentistry in the departments of periodontology, implant dentistry, and prosthodontics. He maintains a private practice in fixed prosthodontics, esthetic, and implant dentistry in New York City. 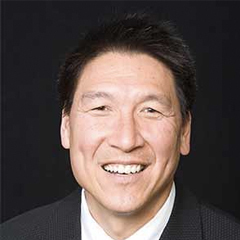 Dr. Chu has contributed over 80 publications in the dental literature and has given lectures nationally and internationally on the subjects of esthetic, restorative, and implant dentistry. Dr. Chu is the executive editor of Compendium and is the recipient of several awards from professional dental organizations globally.